Secure Checkout! 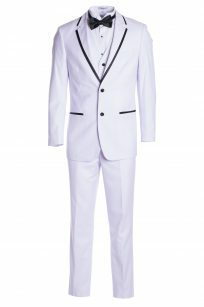 Same day free shipping on all suits. Your order will arrive in 3 to 5 business days. Shipping is available to the United States Only. 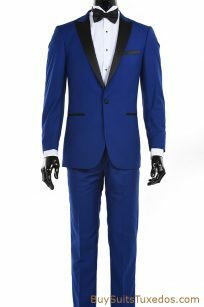 Shop our high quality, Italian designer tuxedos on our online store. 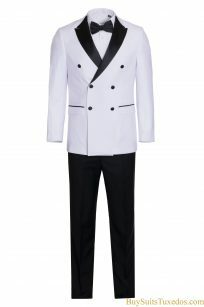 Free shipping on all tuxedos. Premium Tuxedos featuring Button Closure | Classic rear Vents | Stunning Slim Fit Designs. 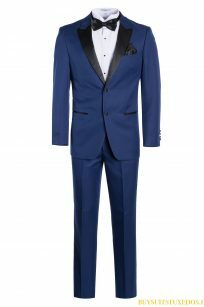 Matching Slim Fit, Flat Front Trousers – Unhemmed bottoms allow you to customize the perfect pants length – Drop 6 matching front trousers with zipper and single button closure. (Drop 6 means minus 6 from your selected jacket size. 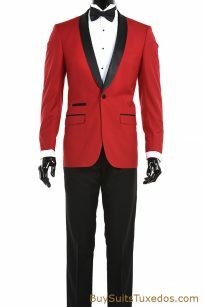 Example: A size 44 jacket comes pre-paired with 38 waist pants.) Two back besom pockets with button closure – two front aligned slip pickets – Lined to the knee – Zip fly and extended button closure on waistband -37 inch inseam. 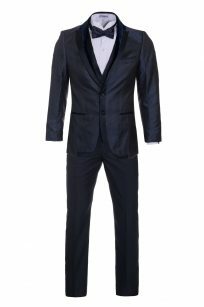 Imported European Fabric and classic rear jacket vent design gives you the Breathability & Comfort you have come to expect from a top quality tuxedo. Outer & Inner Pockets for storage of other gentlemens apparel items such as keys, wallet, cell phone and business cards. 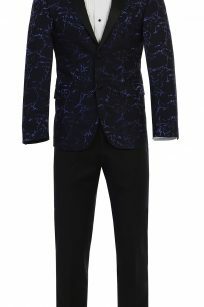 Stunning Slim Fit Cut | 65% Polyester | 35% Viscose | Dry Clean Only. 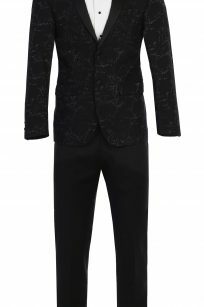 This dapper Shawl Collar Tuxedo, features a custom slim fit with just enough room for comfort, a beautiful black Satin Shawl Collar, Satin covered buttons and slim fit trousers that come unhemmed allowing you to have them tailored to taste. Many stunning colors to choose from. 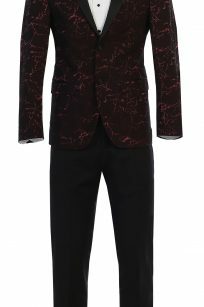 65% Polyester | 35% Viscose. Dry Clean Only. 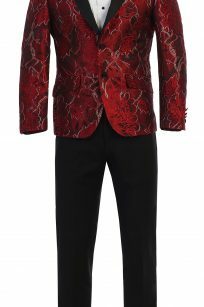 Great for wedding, prom, or just a night out on the town. Perfect for all formal occasions including awards dinners, cocktail parties, black tie events.